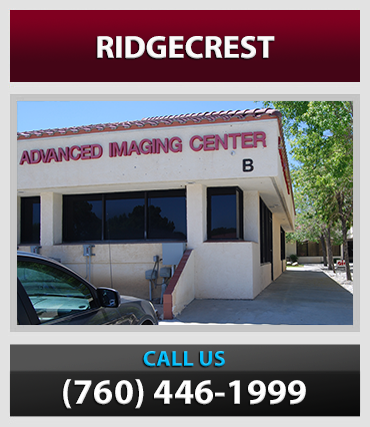 Advanced Imaging Center (AIC) is a state-of-the-art, diagnostic medical imaging center located in Lancaster, Palmdale, Valencia, and Ridgecrest, California, specializing in magnetic resonance imaging (MRI) scanning (OPEN MRI, high-field 1.5T MRI, and ultra high-field 3T MRI), 4D ultrasound, helical CT scanning (16-slice and 64-slice), coronary calcium scoring and coronary CT Angiography, PET-CT scanning, Nuclear Medicine scanning, DEXA and QCT bone density testing, as well as x-rays and fluoroscopy. 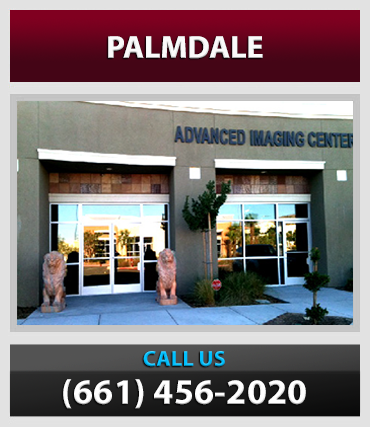 AIC-Palmdale has our new wide-bore (70 cm) 3T MRI as well as our new 40-slice PET-CT.
ADVANCED IMAGING CENTER (AIC) was founded in January 1998 by Dr. Ray H. Hashemi, M.D., Ph.D. (Dr. Ray). Dr. Ray received a B.S., M.S., and Ph.D. in Electrical & Computer Engineering from the University of California. He later completed his Medical Degree (M.D.) from the University of Miami School of Medicine. Subsequently, he completed five years of diagnostic radiology internship and residency program and one year of MRI fellowship training in the Los Angeles area. He is the author of the book “MRI: The Basics,” a 385-page book with over 400 illustrations and images on the physics and basics of MRI (Magnetic Resonance Imaging), whose 3rd edition was recently published. It has been translated to Japanese. He is board certified by the American Board of Radiology and an expert in the field of MRI AIC has been a pioneer in advanced medical imaging equipment in the Antelope and Santa Clarita Valleys and has set a precedence on how outpatient imaging should be practiced. AIC has definitely set the standards in state-of-the-art high-tech medical imaging in the valley with over $7 million dollars in medical and computer equipment. These include the valley’s first OPEN MRI, the first high-field, short-bore MRI, the first 3D ultrasound, the first PET scanner, and more recently the first 16-slice CT scanner and the only 4D ultrasound. Our new 16-slice CT scanner is the fastest and the highest- resolution CT in the world. 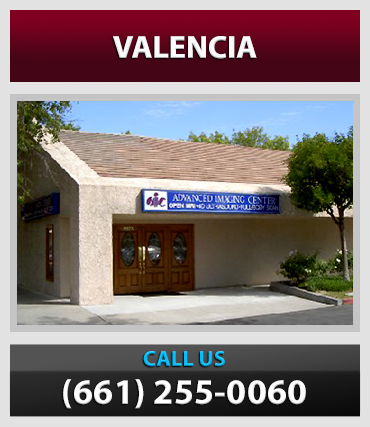 AIC is the only independent, freestanding outpatient imaging facility in the Antelope Valley. It has no affiliations with any hospitals or medical groups. It is purely physician-owned and operated. The patients and their doctors always come first at AIC. The caring staff at AIC is extremely patient-friendly and service-oriented. Many local doctors come to AIC when it comes to imaging themselves or their family members. This is the best compliment for AIC that their physician radiologists could be considered the “doctors’ doctors” when it comes to radiology and medical imaging. AIC will continue to remain at the forefront of medical imaging in the Antelope and Santa Clarita Valleys and will continue to provide the community with the best imaging services possible. At AIC “the patient always comes first!” We brought practice of good old medicine back to the valley when it comes to diagnostic imaging. AIC provides the first and only high-quality OPEN MRI in the Antelope and Santa Clarita Valleys designed for all patients, including claustrophobic and large patients. The MRI equipment is open on all four sides so there is no more problem with claustrophobia and there is no weight limit. All MRI procedures, including spine works, brain scans, body imaging and MR Angiography can be performed within a comfortable open MRI machine without going through a closed tunnel MRI. Due to recent advances in technology, the high image quality of the open MRI at AIC is comparable to that of closed tunnel MRI's, so there is absolutely no compromise in quality of care where there is significant added patient comfort. Most people wouldn't think about the services offered by AIC until their physician orders specific testing to be done to confirm or assist in a diagnosis. Only then do they realize it might be necessary to lie in a tightly confined tube while a scan is being performed. This is especially disturbing (if not impossible) for claustrophobic or large sized individuals. Advanced Imaging Center has remedied the problem by offering an MRI system that is open on all four sides. There is no other system comparable in the Antelope Valley. Due to recent technological advances, images produced by the open MRI system are exquisite. This means the person being scanned does not have to sacrifice quality for comfort. AIC also provides state-of-the-art high-field (1.5 Tesla) MRI on a new-generation short-bore, flared scanner, the first of its kind in the valley. This scanner represents cutting-edge technology at its best, capable of performing the most advanced and complicated MRI studies not available on conventional MRI systems. AIC also provides state-of-the-art CT scan (CAT scan) using a state-of-the-art multi-detector, multi-slice ultrafast helical CT scanner, the first of its kind in the Antelope Valley. Our Toshiba 16-slice CT is capable of obtaining one slice every 400 msec (or 40 slices per second) as well as 0.5 mm resolution (the fastest and highest resolution in the valley). Complete range of CT scanning including CT Angiography and 4D imaging is available at AIC. Computer axial tomography scanning, generally referred to as a CT or CAT Scan is a simple, non-invasive procedure that gives physicians the ability to safely obtain sophisticated diagnostic information about the brain, chest, abdomen, pelvis, spine and extremities. A CT Scan is up to 100 times more sensitive than a conventional x-ray, yet it requires an extremely low dose of radiation. This means the benefits of a CT scan far outweigh any risk to the patient. AIC also offers the Antelope Valley's first 4D Ultrasound (Sonography) with color Doppler. Complete range of ultrasound services including pregnancy sonograms and vascular studies are available at AIC. 4D ultrasound allows visualization of an unborn baby's face in 4D. A CD or DVD with music is provided for the pregnant mothers. Some insurances may cover this procedure. The amazing, new GE 4-D ultrasound machine produces realistic, recognizable images. The new technology is particularly useful with OB patients. Imagine being able to clearly see the face of your unborn child and be able to count all the fingers and toes! The 3-D ultrasound is also used for diagnosing medical conditions in the abdomen, head, neck and other parts of the body. Regardless of what is scanned, the results are the same…incredible! Bone density testing (bone densitometry) for diagnosis of osteoporosis is performed at AIC with a state-of-the-art whole body central (axial) DEXA (Dual-Energy X-ray Absorptiometry) scanner. The test is quick, safe, and noninvasive. It provides physicians information regarding potential osteoporosis that can be medically treated. It also allows physicians to monitor their treatment plans. Routine x-rays are also performed at AIC. Dr. Ray Hashemi, MD, PhD ("Dr. Ray") is the Director of AIC. He is a graduate of the University of Miami School of Medicine with five years post-graduate residency training in Diagnostic Radiology and one year of MRI Fellowship training. Prior to this, he obtained his BS, MS and Ph.D. in Electrical and Computer Engineering from the University of California and wrote his thesis on signal/imaging processing and control. Dr. Ray is an expert in the field of radiology in general and MRI in particular. He is the author of a book called "MRI: The Basics," that contains 353 pages with more than 400 illustrations on the basics of MRI. His book has been one of the best sellers in MRI and has been translated into Japanese. He as also published numerous journal articles in radiology and MRI and in signal/image processing. Dr. Ray is a board-certified radiologist and has been in private practice since 1995. He opened AIC in January of 1998 in Lancaster. He is an independent radiologist and now practices full time in Lancaster and is available for immediate interpretation of studies. This means that films are not carried out of area to be read, allowing physicians and patients can have same day results. Dr. Ray practices full time at AIC and is available for immediate interpretation of studies. AIC accepts all major insurances and is contracted with most PPO's and accepts Workers' Compensation and personal injury cases. Dr. Ray and his dedicated staff have created a relaxing and patient friendly environment to make your MRI examination as comfortable as possible. 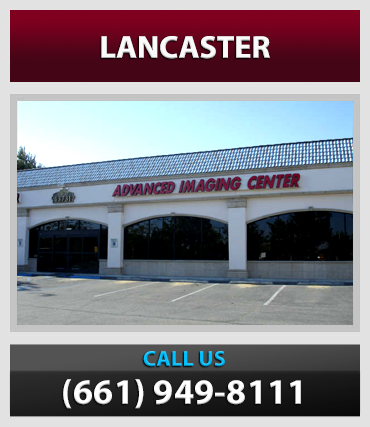 Advanced Imaging Center is in the old Mervyns Shopping Center in Lancaster at 43731 N. 15th Street West, next to Heidi's Children's Dental Center. AIC is open Monday through Friday from 7 a.m. to 7 p.m. and Saturday by appointment. For more information or to make an appointment, call 661-949-8111.